I had an opportunity to work again with SPEAK 2 and I have got few new tips for you. If you have not seen yet my previous article – you can (if you are new in SPEAK you should) check it here. You have seen it? – great, we can move forward. Before we will start – remember one thing – location of files and items is extremely important in SPEAK2. Probably it would work for SPEAK1 but will not work for SPEAK2. 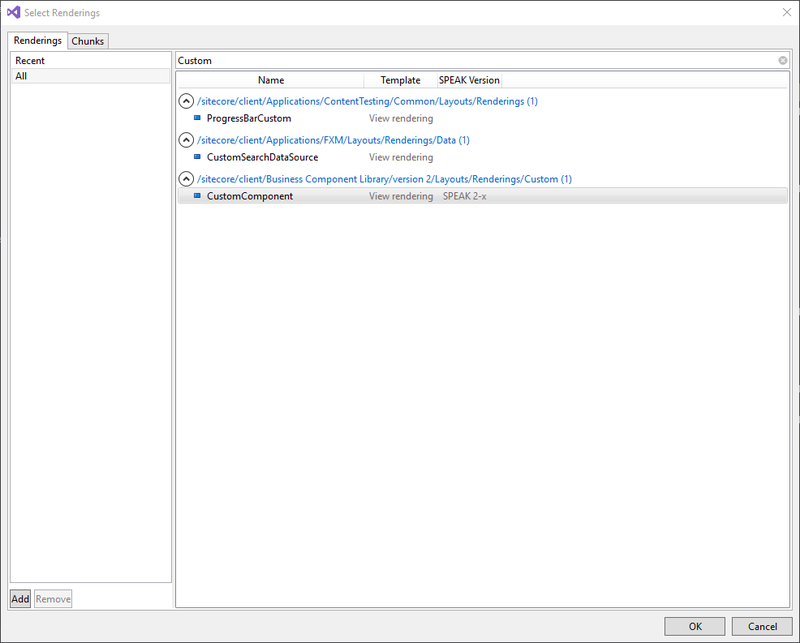 In new version of SPEAK you should put all your components in the place where all predefined components are “/sitecore/client/Business Component Library/version 2/Layouts/Renderings”. 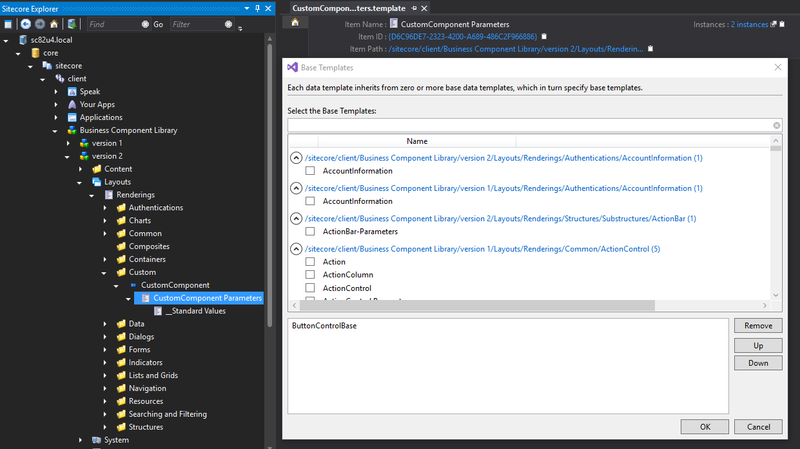 Ok, before we will select value in Parameters Template field we have to create the configuration item – it should be placed below the Custom Component. Yes it is template and it is a good idea to inherit fields from one of available base templates. In my case I have selected “ButtonControlBase” template – later you can specify “__Standard Values” item. Great – we have definition of our component – it is time for some coding. When we develop new component we should always define “initialize” function which will be called every time when our component will be displayed. We can also define own functions – like I defined “getTheListOfComponents”. 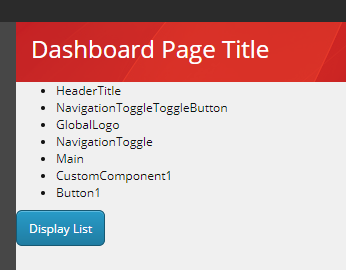 My function is taking the list of components from the application and then display some html. 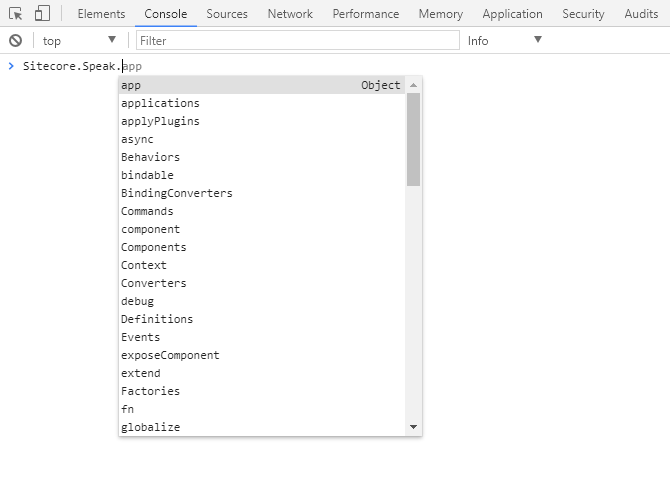 Inside Sitecore.Speak you will find a lot of useful functions and properties. Just open your browser console and play with it. To test our new component you need to define own application (If you do not know how to do this – check my previous post about SPEAK). There is one extremely important thing which you have to check before you will put any SPEAK2 component in your application – configuration of the PageCode component. Open “Design Layout” for your page and check the properties of “PageCode”. 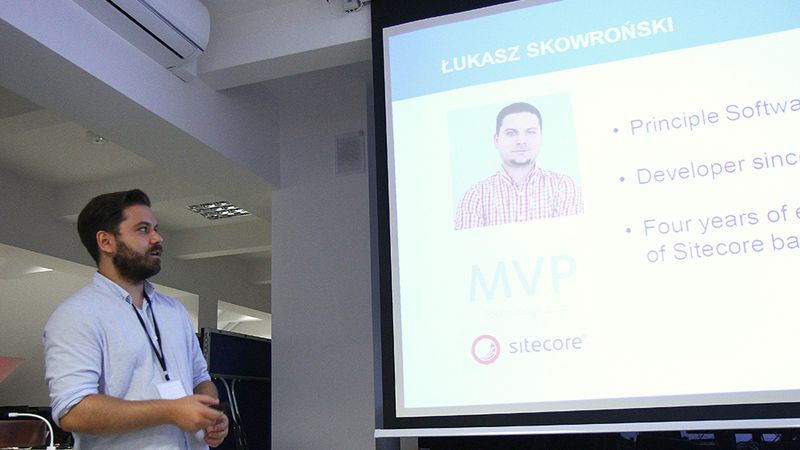 In the field “SpeakCoreVersion” you should have selected value “SPEAK 2-x”. 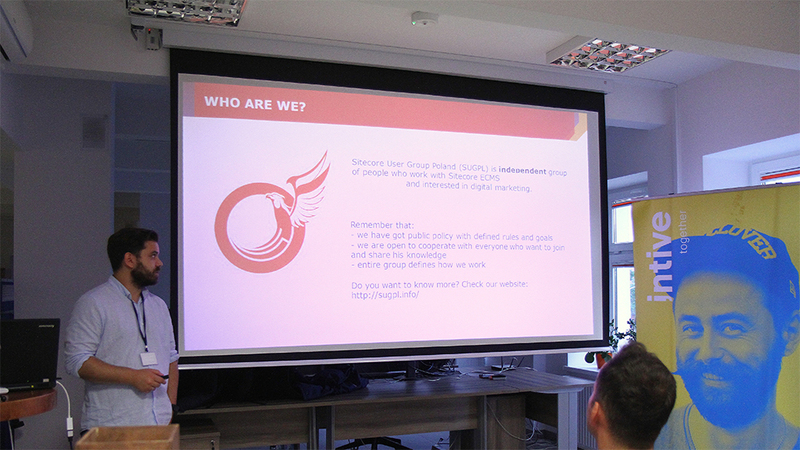 Now, when we are sure that everything is set properly – it is time to add new rendering to our application. When your’s component is added – remember to define properly “PlaceholderKey” to be sure that your component will be visible. In my case it is “ApplicationContent.Main” – but it strongly related to the structure of your application. That is cool! But you probably remember that we had also a custom function “getTheListOfComponents” – it is time to use it! When we will click the button – our action will trigger the function from the Custom Component and will display the list of components inside it. 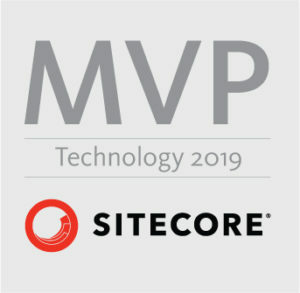 "Uncaught TypeError: Cannot read property 'model' of undefined"
More interesting was the fact that this part of code is not called by existing Sitecore components – it is called only when you register own components. It means that we have there routing and behind it we have some code which search for particular files to load all ingredients of the component. Because of that if you will put your files in wrong directory you will see an error similar or exactly the same which I had – check locations of your files once again. 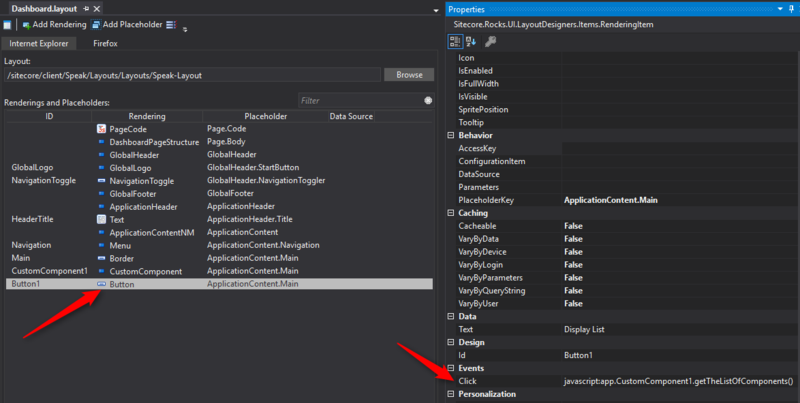 The second option – you forgot about the SpeakCoreVersion setting inside PageCode properties. I have decided to create first ever tutorial for SPEAK 2.0 which will give you really working examples. Why? Because I was not able to find any information about that and I was not sure which version should I choose for greenfield projects (1.2 or 2.0). I hope I will be able to answer for all your questions in this and all future articles. Do not hesitate to ask when you will have any additional questions. 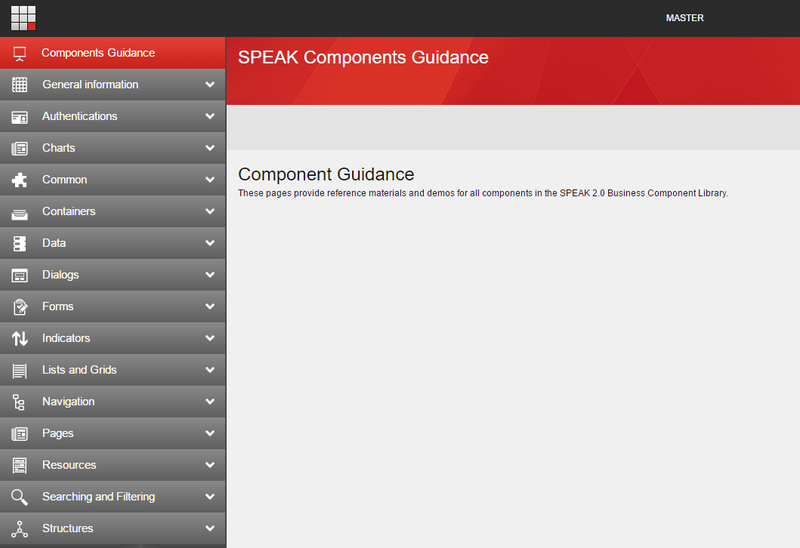 We can find SPEAK application with all available SPEAK 2.0 components. It is really long list – so i will not paste it here. Unfortunately they are currently not available for SPEAK 2.0. 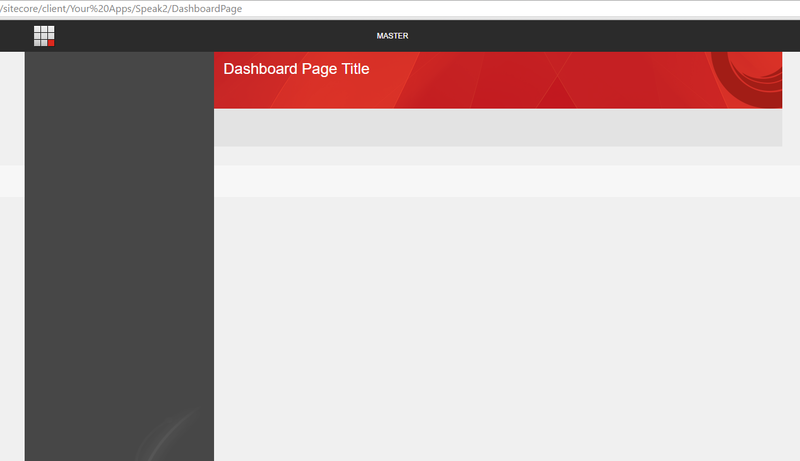 Nothing special – that’s right, but it is looking exactly the same as page created from SPEAK 1.2 template branch. If you will compare “Design Layout” definitions you will find many differences. Add first item to your application – page which is based on DashboardPage branch from “SPEAK 2.0 Branches” package As result you should see item with PageSettings item under your page item. Open your application in browser – use item path and paste it into the browser. Congratulations – you have created your first SPEAK 2.0 application! In next article I will show you how to build SPEAK 2.0 application with ListControl.